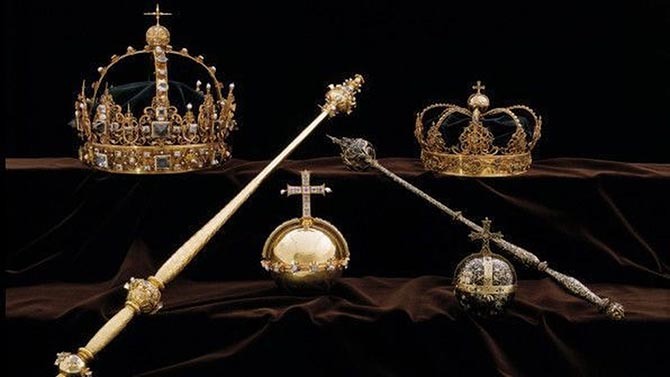 This week there was some headline jewelry news about a theft of the Swedish Crown Jewels in broad daylight and what the Hope and other blue diamonds reveal about the earth itself that were broadly reported. We enjoyed learning about the jewelry designer Jolene Smith on Vogue.com and seeing the artsy photos of Bulgari’s Wild Pop High Jewelry collection on Luxury Launches. There was also some fascinating trade news on Hodinkee about why the Swatch Group pulled out of the big watch fair in Basel Switzerland. Links to all the stories below. 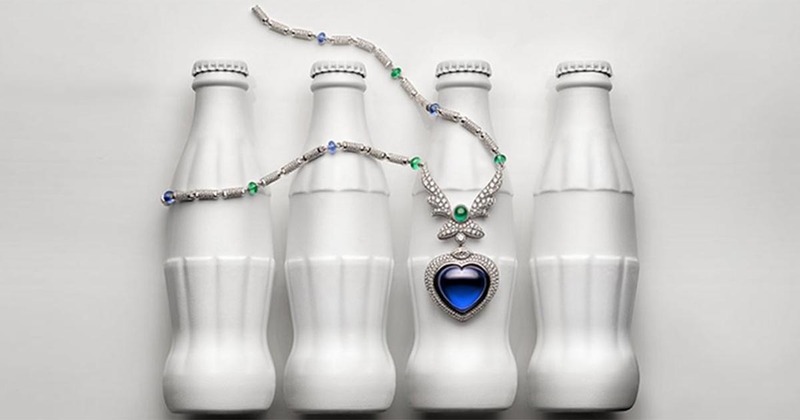 From Luxury Launches—Bulgari’s latest jewelry collection is a throwback to the days of big hair and spandex – the electric eighties! The collection is called Wild Pop, a fitting characterization of the musical decade that spawned stars like Prince and Madonna. Just like the ‘80s, this collection is colorful and over-the-top, brimming with statement necklaces, gemstones, and bold designs. The brand drew particular inspiration from the fashion and art of the time, with a special reference to Andy Warhol. From Vogue.com—Trying to find reasonably priced jewelry that suits your taste can sometimes feel like an endless hunt—that is, unless your go-to jewelry designer happens to be your mother. That’s the case for British singer Jorja Smith, as she revealed in an Instagram post earlier this week. 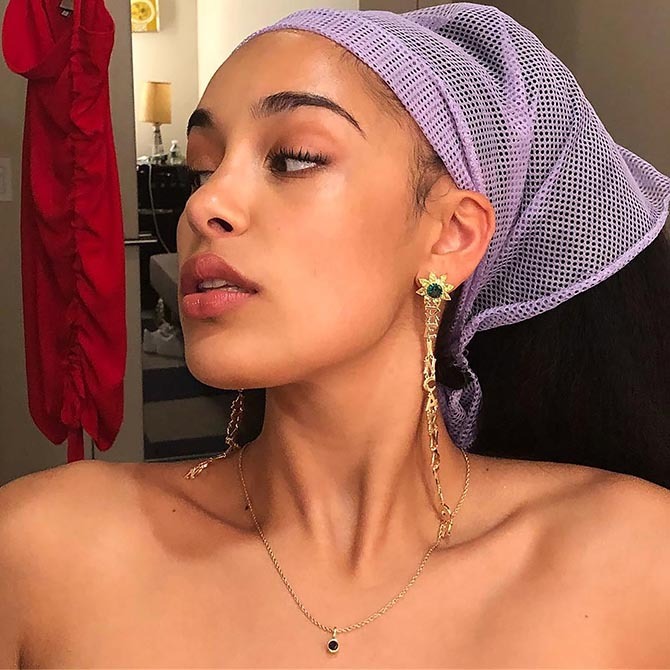 Jorja thanked her mom, Jolene Smith, a jewelry designer who has been crafting rustic artisan pieces since 1984, for her new black diamond pendant, which she paired with a lilac mesh head wrap and earrings by Jiwinaia. From Hodinkee’s Joe Thompson—Baselworld 2018 was a turbulent affair, as we chronicled in our report on the show. Nevertheless, when the watch world’s biggest show closed this year, the Swatch Group, the fair’s biggest client, with 17 brands exhibiting, told the fair’s management that it would be back. 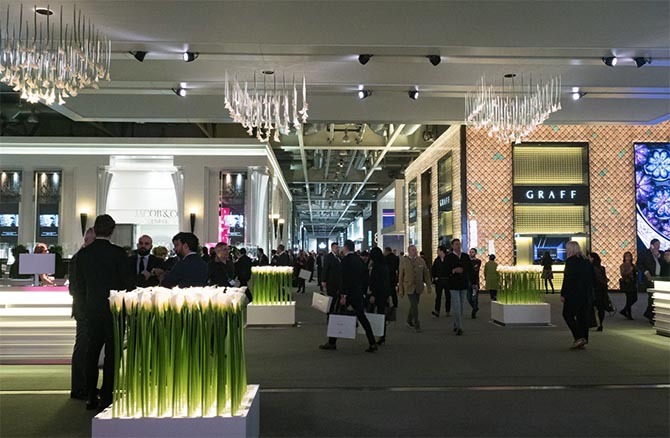 On March 28, the day after the show closed, a relieved Baselworld management issued a press release stating that the Swatch Group was among the top brands that had made “definitive commitments” to Baselworld 2019. That was then. On Sunday morning, the watch world woke to the news that the Swatch Group had changed its mind and was pulling out of the show. Switzerland’s Neue Zürcher Zeitung broke the story based on an interview with Swatch Group CEO Nick Hayek. The story was a bombshell; the shock spread quickly around the watch world. What happened? 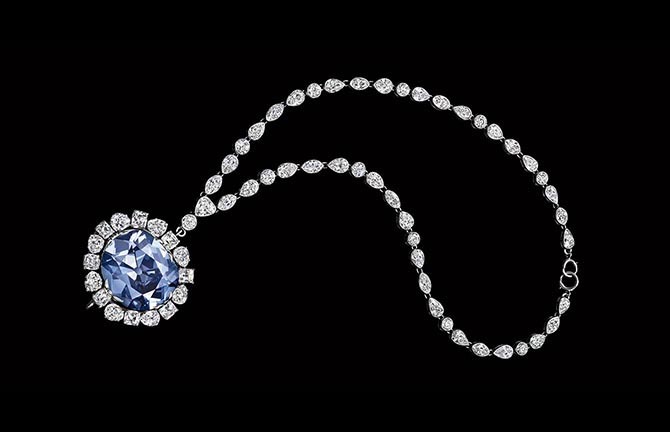 What caused Hayek to abruptly bail out of the struggling Baselworld?